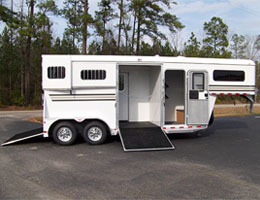 Two Horse Gooseneck w/Side Ramp & Dressing Room. 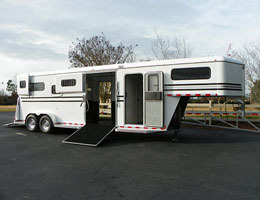 Two + One Gooseneck w/Side Ramp & Dressing Room. 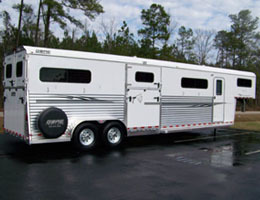 Two Horse Gooseneck w/Dressing Room. 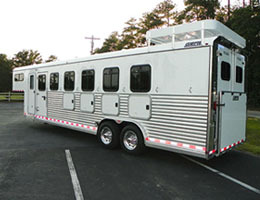 Four Horse Gooseneck Head to Head. 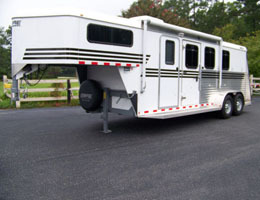 Two Horse Slant Load Gooseneck. 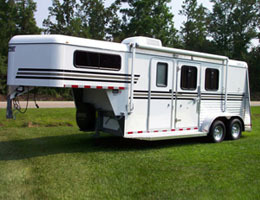 Three Horse Slant Load Gooseneck. 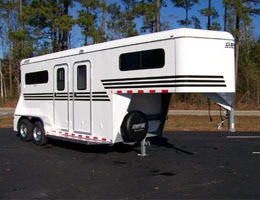 Four Horse Slant Load Gooseneck. 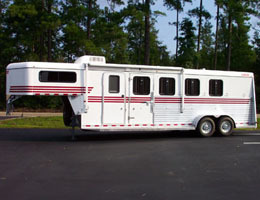 Six Horse Slant Load Gooseneck. 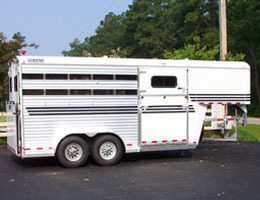 Combination Gooseneck Horse and Stock.